Will be used in the visual novel that I’m making for friends for xmas! Can’t wait until second semester. 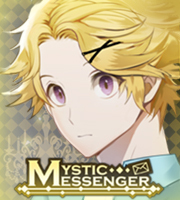 I haven’t been posting Mystic Messenger because of school work. Yeah, it’s taking up my life. In fact, I barely have any time to digital draw. I doodle a lot on my notes, but honestly when I tried to draw again, it did not go WELL. I’m pissed from something, so I decided to doodle. Drawing doesn’t calm be down unlike most people, but doodles do! I wanted to doodle Gill, because why not? I haven’t finished Luke’s, but I’m going to just send it to him privately. (Since he had an…odd request). Anything that needs to be changed, please tell me Boltie. Hope you enjoy! Sorry for the delay, was occupied with summer school. also, have this unholy edition of this drawing 😉 hUEHUEHUEHUEHEUEHUEHUE kill me before I lay eggs.